If there somewhere exist a kind of Utopia, it was very far away on this day in 1535 when Thomas More lost his life on the scaffold due to his resistance to acknowledge Henry VIII as Supreme Head over the Church of England. He was born in 1478 as the son of Sir John More, a successful lawyer and judge who passed away only five years ahead off his son at the age of 79. He had sent his son to what was considered one of the finest schools in London at the time. Between the age of 12 and 14, he was in service as a page for the Archbishop of Canterbury, John Morton, who – when he saw the intellectual potential in Thomas More – nominated him to the University of Oxford where he studied for only stayed for two years before moving on to legal training at New Inn in London. John Morton has been suggested to have another role in the life of Thomas More, and that is as the actual brain behind the writing The History of Richard III which should then have been re-written by Thomas More. The fact is that while one faction put the blame on Thomas More for the blackening of Richard III:s reputation, More in his “History…” does not really assert anything. While he was writing stating that the story of the princes is such that he has heard it told, he at the end, the historian David Baldwin points out, round it off in such a way that can be interpreted that he will not personally vouch for the stories accuracy. 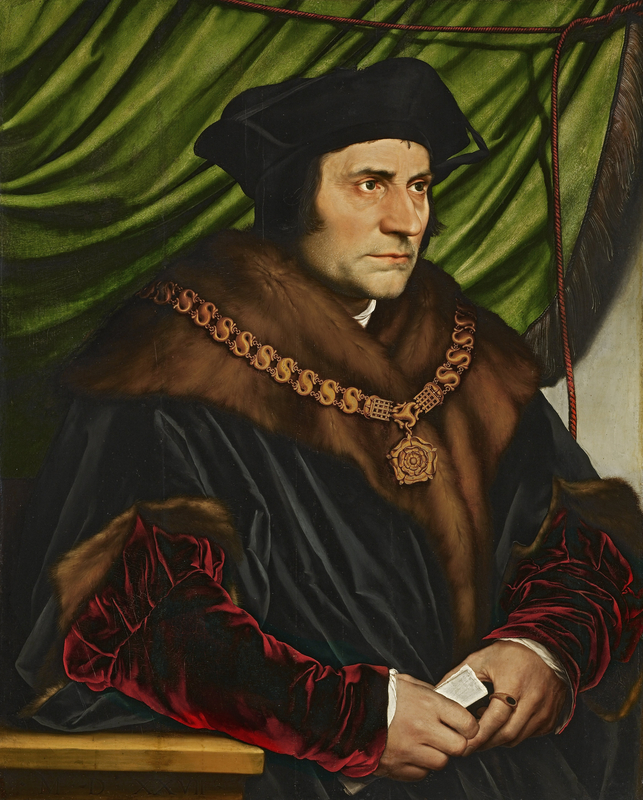 Thomas More was deeply religious, which may not separate him from many others of his time, other than in the sense that he according to his friend, the theologian and renaissance humanist Erasmus, contemplated giving up his legal career for the life as a monk. 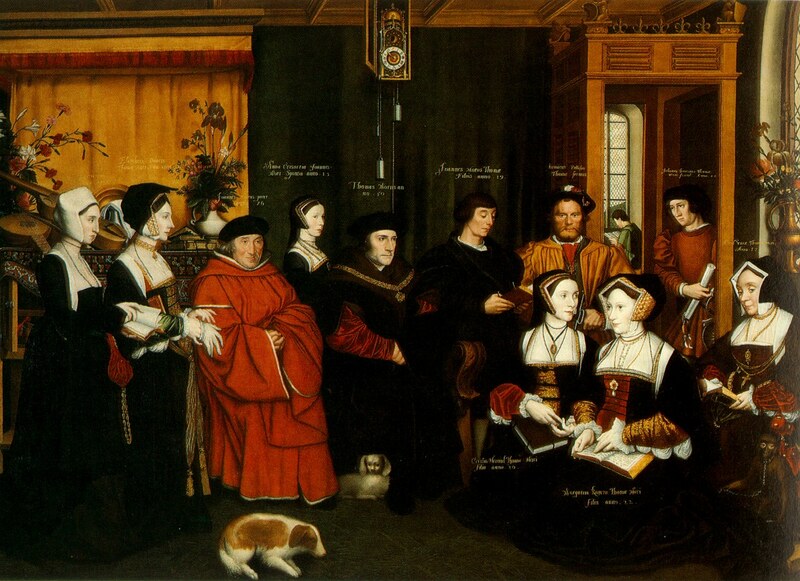 He didn´t however, Thomas More would come to be a devoted family father who had four children by his first wife, Jane Colt. Jane however died quite young and he remarried the rich widow Alice Harpur Middleton. While there was no children in this marriage, Thomas More raised Alice daughter Margaret as if she was his own. As I mentioned Thomas More´s book with the account of the fate of the princes, I have to avoid how this fate has been further intertwined with Thomas More through his adoptive daughter Margaret. More gave made sure his daughters received the same education as his sons, something which was far from common at the time, and through this managed to convince his friend Erasmus that the education of women wasn´t a complete waste of time after all. In 1504 More was elected to the parliament, and held from 1510 the seat for London and from 1514 he was a member of the Privy Council. 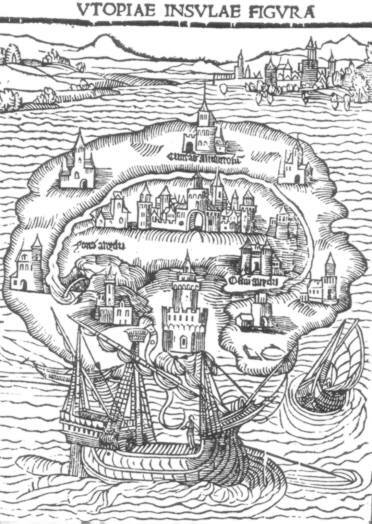 In 1516 he wrote his legendary book Utopia about a far away island republic where men were free from oppression and even the animals were considered sentient beings with the right to life and freedom. The lack of private property in Utopia, whit the goods being kept in warehouses where the people request what they need – and get it, gave Thomas More and his book high esteem in the former Soviet Union, more than 400 years after it was written. In 1523 More was elected a knight of the Shire for Middlesex, and on the recommendation of Cardinal Wolsey, speaker of the House of Commons. 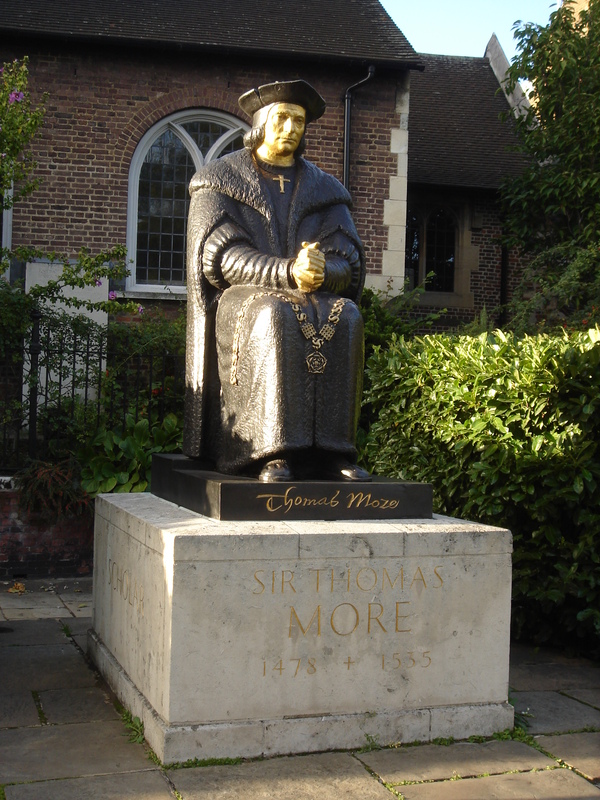 When Wolsey ultimately fell from grace in 1529, Thomas More became the Lord Chancellor. He was loyal to Henry VIII, supporting the idea that the marriage to Katherine of Aragon was unlawful. But the beginning of the end came when Henry challenged the authority of Rome. As the reformation started to take root among the public and some people started protestant sympathies, Thomas More was to be found at the forefront in the battle against heresy. He was accused of personally torturing people during interrogation, something he himself strongly denied, but the fact remains that six people were burned at the stake for heresy during More´s time as chancellor. Thomas More continued to be steadfast in his support of the Pope, something that oddly enough did not cost him his position as a chancellor, but after refusing to sign a letter urging the pope to dissolve Henry´s marriage, he soon found himself isolated. This in combination with his decline to be present at the coronation of Anne Boleyn as well as his refusal to acknowledge Henry as Supreme Head would become the undoing of Thomas More. He was brought to trial on Juli 1st 1535 for treason under the Treason act of 1534, where he defended his stand on the supremacy issue by quoting the Magna Carta clause that protected the privileges of the church. It took the jury 15 minutes to find him guilty, much due to the diligence of Thomas Cromwell, and he was sentenced to be hanged, drawn and quartered, a punishment which was commuted to beheading. He was executed on this day, July 6th 1535. When he came to mount the steps to the scaffold, he is widely quoted as saying (to the officials): “I pray you, I pray you, Mr Lieutenant, see me safe up and for my coming down, I can shift for myself”; while on the scaffold he declared that he died “the king’s good servant, but God’s first. His head was left on a pike on London Bridge for a month and his body laid to rest in an unmarked grave St Peter ad Vincula. He was canonized in 1935 and is celebrated on the same day as John Fisher, June 22nd by the Catholic Church and on July 6th by the Church of England.